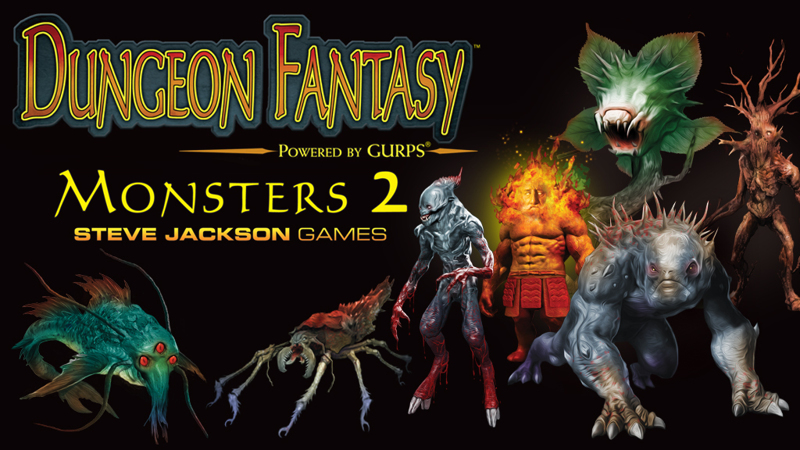 When Sean wrote the new Dungeon Fantasy Monsters 2 book (now funding on Kickstarter), one of his additions to the Dungeon Fantasy Roleplaying Game monster format was adventure seeds, ideas that a GM may draw from when planning an adventure. Those new adventure seeds were so much fun, and so very valuable to the GM, that we went back and created adventure seeds for some of the creatures that appear in the Monsters book that's packed inside the Dungeon Fantasy Roleplaying Game. Today, we are sharing the as-Sharak adventure seeds by Matt Riggsby. Fire With Fire. As-Sharak are cursed to kill those among the living who share their lust for power. While they are ruthless in their violent pursuits, there are those who perceive some morality in it, viewing the demons' victims as getting their just desserts. A quintet of as-Sharak – one of each type – have become proactive, venturing from their lair to destroy not only those who come to loot it but also those who might plan to do so. This category includes the heroes, certainly, but also many wannabe Dark Lords – and the as-Sharak have been killing a lot of them. If the delvers move against the as-Sharak, then along with facing monsters, they will be up against an order of holy warriors who see the fiends as useful scourges against other evils.